Smuggling-ish adventure thing! Romantic adventures. Wait, what? Robert Zemekis shocks many by making more than one kind of film. Well actually, look at all this stuff. Where Romancing the Stone falls in the Zemekis chronology. Kurt Russell wants to sell you a car. Get that stone! That time Danny DeVito didn’t play that guy from that one film that isn’t real anyways. 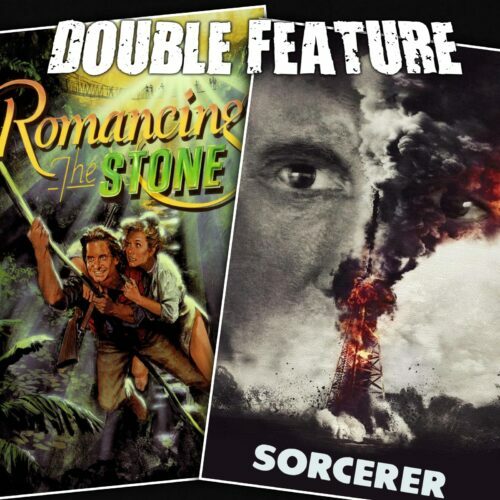 Sorcerer as a maybe-remake of The Wages of Fear. Is Sorcerer a remake and why does that matter? The end of auteurism. A broader conversation about studios, money, directors and the death of art. Is the video market to blame, or did video invent cult? The answers to everything are yes and no, all the time.. This entry was posted in All Podcasts, Year 8 and tagged Robert Zemeckis, William Friedkin. Bookmark the permalink.